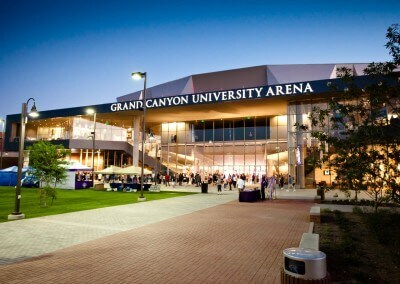 It’s hard to argue with the unprecedented growth of Grand Canyon University across the Phoenix landscape. One of their most notable projects to date is their 7,000-seat, 135,000-square-foot multi-purpose entertainment facility. Kovach Building Enclosures was able to use our Design Assist capabilities to help integrate our products with the growing campus.